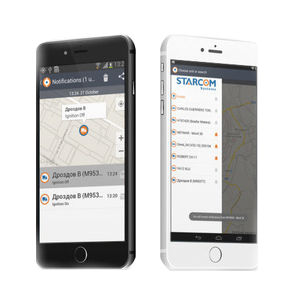 Starcom Systems offers an Application for both iOS and Android-based devices, enabling you to receive information that matters, sent straight to your mobile phone. The Mobile Application (named “Olympia Tracking”) has been created to complete Starcom Online Web Application and provides a fast and user-friendly way to keep track of your business or personal concerns whenever your computer is unavailable – anywhere and at any time. Whether you are in the office or traveling, you can stay in control and find peace of mind straight from the palm of your hand. – View the location of your devices. – Get all the details about each device. – View your list of notifications. – View each notification’s details and location.